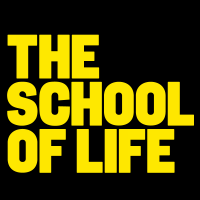 The School of Life is an educational company that offers advice on life issues. It was founded in 2008 and based in branches in London (headquarters), Antwerp, Amsterdam, Berlin, Istanbul, Melbourne, Paris, São Paulo, Sydney, Seoul, Taipei and Tel Aviv. The School offers a variety of programmes and services covering finding fulfilling work, mastering relationships, achieving calm, and understanding and changing the world. The School also offers psychotherapy and bibliotherapy services and runs online and physical shops which have been described as "apothecaries for the mind"